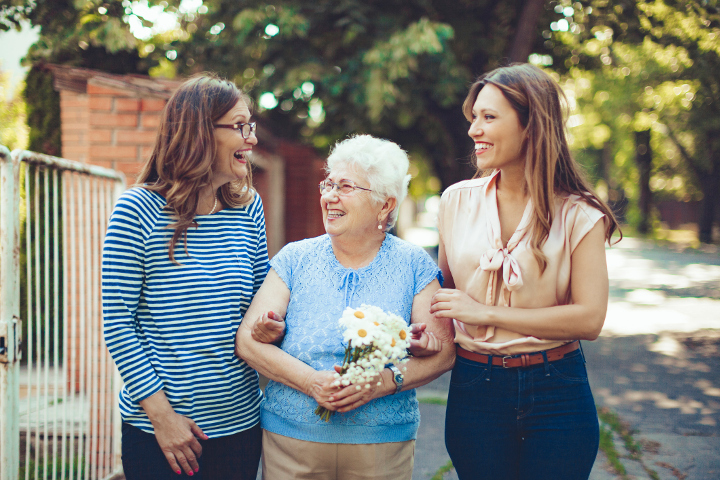 It’s almost Mother’s Day, that sparkling spring Sunday when we celebrate our love for the caring women who light up our lives! Make it extra special with a beautiful homemade gift straight from the heart. There’s nothing better than a thoughtful treat created with love to express how much you appreciate your loved one. Whether you say it with chocolate, a gorgeous bouquet of colorful crepe paper “mums,” or a fragrant felt heart sachet, a handcrafted gift will make for a very Happy Mother’s Day! These simple projects are easy and fun for adults and little ones alike. A sweet treat for Mom! Rinse and dry whole strawberries that are ripe but firm. Dry with a cloth or blot with a paper towel. In a double boiler or in a bowl set over simmering water, melt ½ to 1 cup chocolate chips, reserving a handful (or microwave on low at 10-second intervals, stirring each time). When chocolate is almost melted, remove from heat and add in reserved chips. Stir until smooth. Dip strawberries into chocolate one at a time and set on a tray lines with parchment or waxed paper. When you’ve dipped them all, refrigerate until cool, then arrange on a plate or pop in a pretty box. These “mums” look spectacular all year long! Stack four to eight sheets of colorful crepe paper with the grain going horizontally. Fold the stack accordion-style from top to bottom. Wrap a piece of floral wire or a pipe cleaner around the middle and twist to secure. Gently pull the layers of the accordion open and toward the center to shape a lovely flower. Make a bunch in different colors for a really eye-popping bouquet! Fashion a scented felt heart to tuck into a dresser drawer, closet, or just into a pocket! Choose pretty colors for the felt, and cut two heats for each sachet, about the size of an adult palm. Sew the heart up three quarter of the way using embroidery thread or yarn in a blanket or overcast stitch, then stuff with fiberfill. Scent with a drop or two of essential oil (lavender is refreshing! ), then sew up the opening. Voila! A delightful token from your heart to hers! Spring Is in Bloom at our SLM Communities! Check out the community calendar at the SLM community nearest you to see what events are in store for the beautiful month of May!